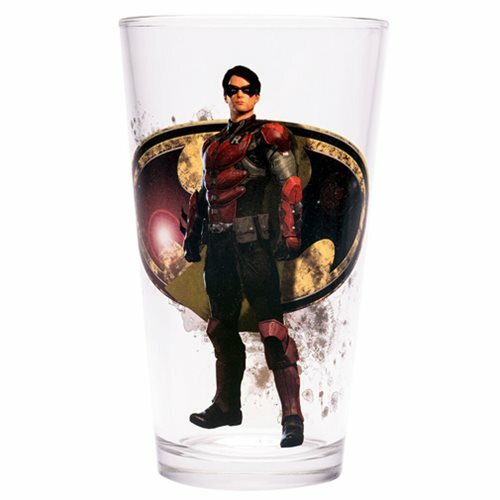 Fight your thirst with this Batman Arkham Asylum Robin Toon Tumbler Pint Glass! This colorful 16 oz. glass features the characters from the hit video game series Batman: Arkkham Asylum. his glass holds up to 16 ounces of liquid and stands about 5 3/4-inches tall. Hand wash only. Not dishwasher safe. Do not microwave. For ages 14 and up.